Sitting has never looked this pretty. As the newest member of the Cantilever Collection, the Cantilever Bar Stool continues with the overall design scheme of the collection. 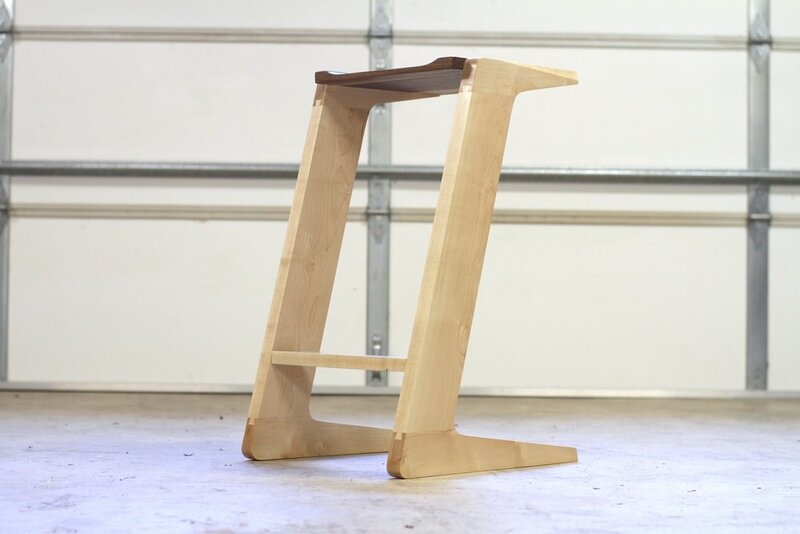 It is made of Maple and Walnut and features details like a hand carved seat and sliding dovetail joinery to create a strong joint for the cantilevered design. 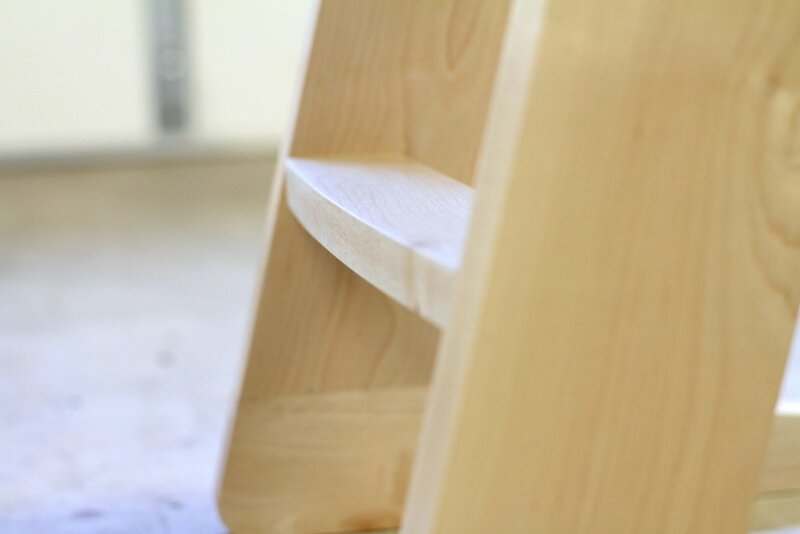 With a slightly more angular look than the previous pieces, the bar stool still highlights natural grain patterns and hints of the materials previous life. 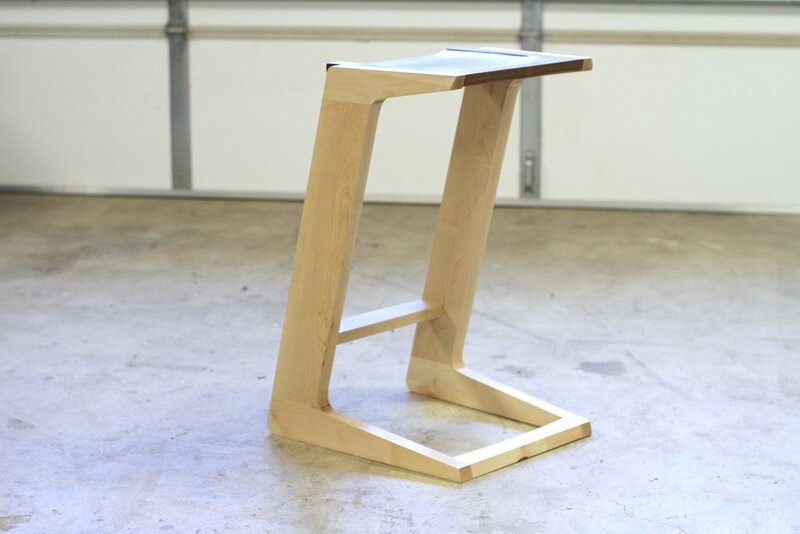 With all of this combined into one piece, there is no doubt that you will always be sitting pretty with the Cantilever Bar Stool. Interested in building your own? Check out the full build plans and templates available for purchase.